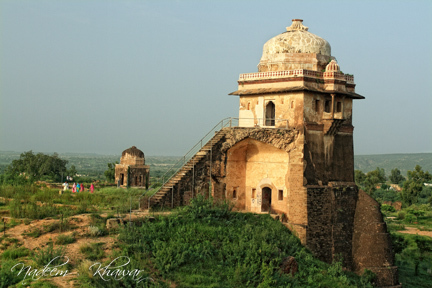 The fort was named by Sher Shah after the famous Rohtas Garh fort in Shahabad District near Baharkunda in Bihar (India), which he captured from the Raja of Rohtas Hari Krishna Rai in 1539. Rohtas Garh is situated on the upper course of the river Son, 20 37’N and 85 33’ E. It was built by Harish Chandra of Solar dynasty and was named after his son Rohitsava after whom the fort Rohtas Garh was named. While the towering personality of this Indo Afghan King comes again into my mind, my friend Haroon Mohsini of the University of Toronto describes the saga of this great Afghan in following words. Babur’s victories at Panipat and Gorga though helped him establish Mughal Rule in India, yet he couldn’t completely annihilate the power of the Afghan chiefs. They were seething with discontent against the newly founded alien rule, and only needed the guidance of one strong personality to coalesce their isolated efforts into an organized resistance against it. This they got in Sher Khan Sur, who effected the revival of the Afghan power and established a glorious, though short lived regime in India by ousting the newly established Mughal authority. The career of Sher Khan Sur, the hero of Indo-Muslim revival, is as fascinating as that of Babur and not less instructive than that of the great Mughal, Akbar. Farid Khan began his life in an humble way, and, like many other great men in history, had to pass through various trials and vicissitudes of fortune before he rose to prominence by dint of his personal merit. His grandfather, Ibrahim, an Afghan of the Sur tribe, lived near Peshawar and his father’s name was Hasan. Ibrahim migrated with his son to the east in quest of military service in the early part of Buhlul Lodhi’s reign and both first entered the service of Mahabat Khan Sur, jagirdar of the parganas of Hariana and Bakhala in the Punjab, and settled in the pargana of Bajwara or Bejoura. After some time Ibrahim got employment under Jamal Khan Sarang Khani of Hissar Firuza in the Delhi district, who conferred upon Ibrahim some villages in the pargana of Narnaul for the maintenance of forty horsemen in his service. Farid was born probably near Narnaul. He was soon taken to Sasaram by his father, Hasan, who had been granted a jagir there by his master, Umar Khan Sarwahi, when the latter got the governorship of Jaunpur. Hasan, like the other nobles of his time, was a polygamist, and Farid’s step-mother had predominant influence over him. This made him indifferent to Farid whereupon the latter left home at the age of twenty-two and went to Jaunpur. Thus the Afghan youth was forced into a life of adventure and struggle, which cast his mind and character in a heroic mould. For some time he devoted himself to study. By indefatigable industry and steady application, Farid early attracted the attention of his teachers at Jaunpur and quickly gained an uncommon acquaintance with the Persian language and literature. He was capable of reproducing from memory the Gulistan, Bostan and Sikandar-Nama. Being pleased with this promising youth, Jamal Khan, his father’s patron, effected a reconciliation between him and his father, who allowed him to return to Sasaram and to administer the parganas of Sasaram and Khawaspur. The successful administration of those two places by Farid served to increase his step-mother’s jealousy, and so leaving Sasaram once again he went to Agra. On the death of his father, Farid took possession of his paternal jagir on the strength of a royal farman, which he had been able to procure at Agra. In 1522 he got into the service of Bahar Khan Lohani, the independent ruler of Bihar, whose favour he soon secured by discharging his duties honestly and assiduously. His master conferred on him the title of Sher Khan for his having shown gallantry by killing a tiger single-handed, and also soon rewarded his ability and faithfulness by appointing him as his deputy and tutor of his minor son, Jalal Khan. But perverse destiny again went against Sher. His enemies poisoned his master’s mind against him, and he was once more deprived of his father’s jagir. “Impressed by the complete success of Mughal arms” and with the prospect of future gain, he now joined Babur’s camp, where he remained from April, 1527, to June, 1528. In return for the valuable services he rendered to Babur in his eastern campaigns, the latter restored Sasaram to him. Sher soon left the Mughal service and came back to Bihar to become again its deputy governor and guardian of his former pupil, Jalal Khan. While the minor king remained as the nominal ruler of Bihar, Sher became the virtual head of its government. In the course of four years he won over the greater part of the army to his cause and “elevated himself to a state of complete independence”. Meanwhile, the fortress of Chunar, luckily came into his possession. Taj Khan, the Lord of Chunar, was killed by his eldest son, who had risen against his father for his infatuation with a younger wife, Lad Malika. This widow, however, married Sher Khan and gave him the fortress of Chunar. Humayun besieged Chunar in 1531, but Sher Khan had taken no part in the Afghan rising of that year and saved his position by a timely submission to the Mughal invader. The rapid and unexpected rise of Sher at the expense of the Lohani Afghans made the latter and even Jalal Khan, impatient of his control. They tried to get rid of this dictator. The attempt, however, failed owing to his “unusual circumspection”. They then entered into an alliance (Sept., 1533) with Mahmud Shah, the King of Bengal, who was naturally eager to check the rise of Sher, which prejudiced his own prestige and power. But the brave Afghan deputy inflicted a defeat on the allied troops of the Bengal Sultan and the Lohanis at Surajgarh, on the banks of the Kiul River, east of the town of Bihar (1534). The victory at Surajgarh was indeed a turning-point in the career of Sher. “Great as it was as a military achievement, it was greater in its far-reaching political result… But for the victory at Surajgarh, the jagirdar of Sasaram would never have emerged from his obscurity into the arena of politics to run, in spite of himself, a race for the Empire with hereditary crowned heads like Bahadur Shah and Humayun Padshah.” It made him the undisputed ruler of Bihar in fact as well as in name. Sher had an opportunity to increase his power when Humayun marched against Bahadur Shah of Gujarat. He suddenly invaded Bengal and appeared before its capital, Gaur, not by the usual route through the Taliagarhi passes (near modern Sahebganj), but by another unfrequented and less circuitous one. Mahmud Shah, the weak ruler of Bengal, without making any serious attempt to oppose the Afghan invader, concluded peace with him by paying him a large sum, amounting to thirteen lacs of gold pieces, and by ceding to him a territory extending from Kiul to Sakrigali, ninety miles in length with a breadth of thirty miles. These fresh acquisitions considerably enhanced Sher’s power and prestige, and, after the expulsion of Bahadur Shah of Gujarat to Diu, many of the distinguished Afghan nobles joined their rising leader in the east. Thus strengthened, Sher again invaded Bengal about the middle of October, 1537, with a view to conquering it permanently, and closely besieged the city of Gaur. Humayun, who on his way back from Gujarat and Malwa had been wasting his time at Agra, in his usual fashion, realized the gravity of the Afghan menace in the east rather too late and marched to oppose Sher Khan in the second week of December, 1537. But instead of proceeding straight to Gaur, by which he could have frustrated the designs of Sher Khan in alliance with the Sultan of Bengal, he besieged Chunar. 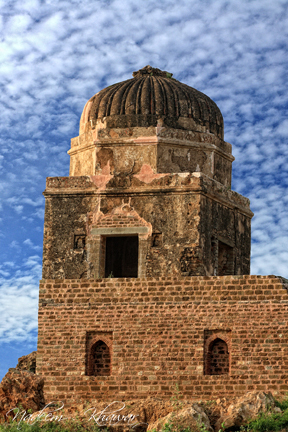 The brave garrison of Sher Khan at Chunar baffled all the attempts of the assailants for six months, while Sher Khan was left free to utilize that time for the reduction of Gaur by April, 1538. Sher Khan had also captured the fortress of Rohtas by questionable means and had sent his family and wealth there. Baffled in Bihar, Humayun turned towards Bengal and entered Gaur in July, 1538. But Sher Khan, cleverly avoiding any open contest with him in Bengal, went to occupy the Mughal territories in Bihar and Jaunpur and plunder the tract as far west as kanauj. Humayun, who was then whiling away his time in idleness and festivities at Gaur, was disconcerted on hearing of Sher’s activities in the west and left Bengal for Agra before his return should be cut off. But he was opposed on the way, at Chaunsa near Buxar, by Sher Khan and his Afghan followers and suffered a heavy defeat in June, 1539. Most of the Mughal soldiers were drowned or captured; and the life of their unlucky ruler was saved by a water-carrier, who carried him on his water-skin across the Ganges, into which he had recklessly jumped. The victory over the sovereign of Delhi widened the limit of Sher Khan’s ambition and made him the de facto ruler of the territories extending from Kanauj in the west to the hills of Assam and Chittagong in the east and from the Himalayas in the north to the hills of Jharkhand (from Rohtas to Birbhum) and the Bay of Bengal in the south. To legalize what he had gained by the strength of arms and strategy, he now assumed the royal title of Sher Shah and ordered the Khutba to be read and the coins to be struck in his name. Next year Humayun made another attempt to recover his fortune, though he could not secure the co-operation of his brothers in spite of his best attempts. On the 17th May, 1540, the Mughals and the Afghans met again opposite kanauj. The army of Humayun, hopelessly demoralized, half-hearted and badly officered, was severely defeated by the Afghans at the battle of the Ganges or Bilgram, commonly known as the battle of Kanauj, and Humayun just managed to escape. Thus the work of Babur in India was undone, and then sovereignty of Hindustan once more passed to the Afghans. From this time Humayun had to lead the life of a wanderer for about fifteen years. The sons of Babur failed to combine even at such a critical moment, though Humayun went to Lahore and did his best to win them over. Their selfishness triumphed over common interests and Sher Shah was able to extend his authority to the Punjab also. The Afghan ruler marched, with his usual promptitude and vigour, to subdue the warlike hill tribes of the Gakhar country, situated between the upper courses of the Indus and the Jhelum. He ravaged this territory but could not thoroughly reduce the Gakhars, as he had to proceed hurriedly to Bengal in March, 1541, where his deputy had imprudently rebelled against his authority. He dismissed the rebel, “changed the military character of the provincial administration and substituted a completely new mechanism, at once original in principle and efficient in working”. The province was divided into several districts, each of which was to be governed by an officer appointed directly by him and responsible to him alone. Sher Shah next turned his attention against the Rajputs of the west, who had not yet recovered fully from the blow of Kanauj. Having subjugated Malwa in A.D. 1542, he marched against Puran Mal of Raisin in Central India. After some resistance the garrison of the fort of Raisin capitulated, the Rajputs agreeing to evacuate the fort on condition that they were allowed to pass “unmolested” beyond the frontier of Malwa. But the Afghans fell furiously on the people of the fort as soon as the latter had come outside the walls. To save their wives and children from disgrace, the Rajputs took their lives, and they died to a man, fighting bravely against their formidable foe, in 1543. The Raisin incident has been condemned by several writers as a great blot on the character of Sher Shah. Sind and Multan were annexed to the Afghan Empire by the governor of Punjab. There remained only one more formidable enemy of Sher Shah to be subdued. He was Maldev, the Rajput ruler of Marwar, a consummate general and energetic ruler, whose territories extended over about 10,000 sq. miles. Instigated by some disaffected Rajput chiefs whose territories had been conquered by Maldev, Sher Khan led an expedition against the Rathor chief in AD 1544. Maldev, on his part, was not unprepared. Considering it inadvisable to risk an open battle with the Rathors in their own country, Sher Shah had recourse to a stratagem. He sent to Maldev a few forged letters, said to have been written to him by the Rajput generals, promising him their help, and thus succeeded in frightening the Rathor ruler, who retreated from the field and took refuge in the fortress of Sivan. In spite of this, the generals of the Rajput army, like Jeta and Kama, with their followers opposed Sher Shah’s army and fought with desperate valour, but only to meet a warrior’s death. Sher Shah won a victory, though at great cost, with the loss of several thousand Afghans on the battlefield and coming near to losing his empire. The Rajputs lost a chance of revival and the path was left open for undisputed Afghan supremacy over Northern India. After this success, Sher Shah reduced to submission the whole region from Ajmer to Abu and marched to besiege the fort of Kalinjar. He succeeded in capturing the fort, but died from an accidental explosion of gunpowder on the 22nd may, 1545. Wonders of Pakistan supports freedom of expression and this commitment extends to our readers as well. Constraints however, apply in case of a violation ofWoP Comments Policy.We also moderate hate speech, libel and gratuitous insults. We at Wonders of Pakistanuse copyrighted material the use of which may not have always been specifically authorized by the copyright owner. We make such material available to our readers under the provisions of “fair use” only. If you wish to use copyrighted material for purposes other than “fair use” you must request permission from the copyright owner.